School is out. Work is out. All of London is on the lam. Everyone is on the streets. Everyone is in the parks. What is going on? Is it a jamboree? Is it a wingding? Is it a shindig? Is it a bevy? Is it a bash? 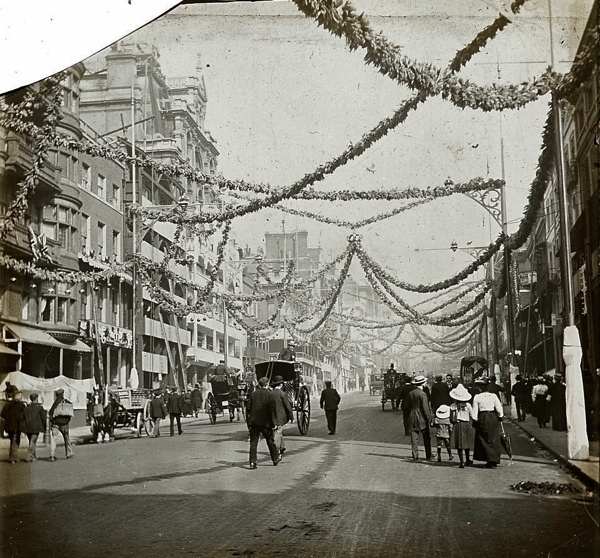 These are the high days and holidays of old London, as recorded on glass slides by the London & Middlesex Archaeological Society and once used for magic lantern shows at the Bishopsgate Institute. No doubt these lectures had an educational purpose, elucidating the remote origins of London’s quaint old ceremonies. No doubt they had a patriotic purpose to encourage wonder and sentiment at the marvel of royal pageantry. Yet the simple truth is that Londoners – in common with the rest of humanity – are always eager for novelty, entertainment and spectacle, always seeking any excuse to have fun. And London is a city ripe with all kinds of opportunities for amusement, as illustrated by these magnificent photographs of its citizens at play. Are you ready? Are you togged up? Did you brush your hair? Did you polish your shoes? There is no time to lose. We need the make the most of our high days and holidays. And we need to get there before the parade passes by. 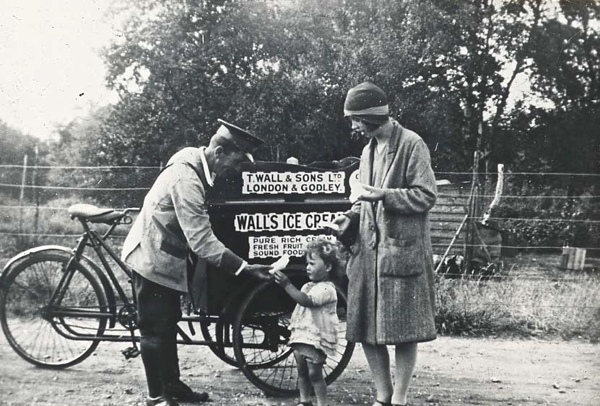 Walls Ice Cream vendor, c.1920. 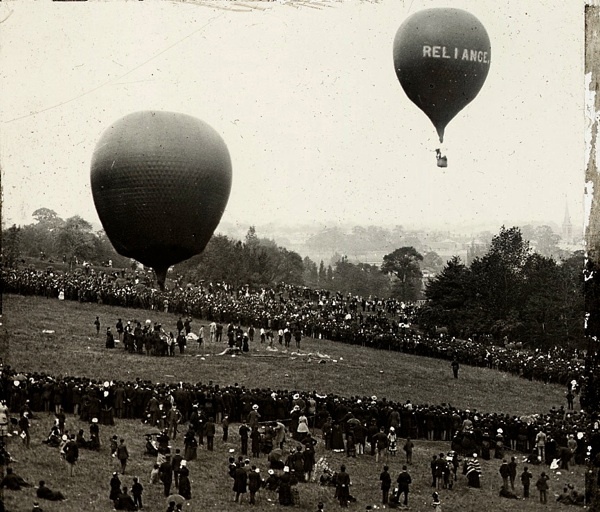 Balloon ascent at Crystal Palace, Sydenham, c.1930. 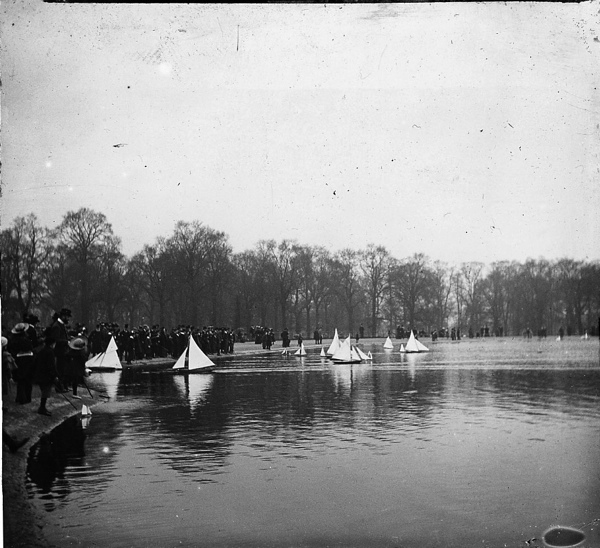 At the Round Pond in Kensington Gardens, 1896. 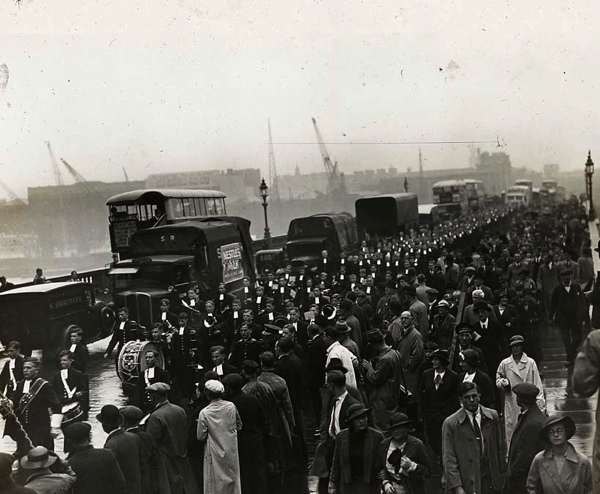 Christ’s Hospital Procession across bridge on St Matthews Day, 1936. 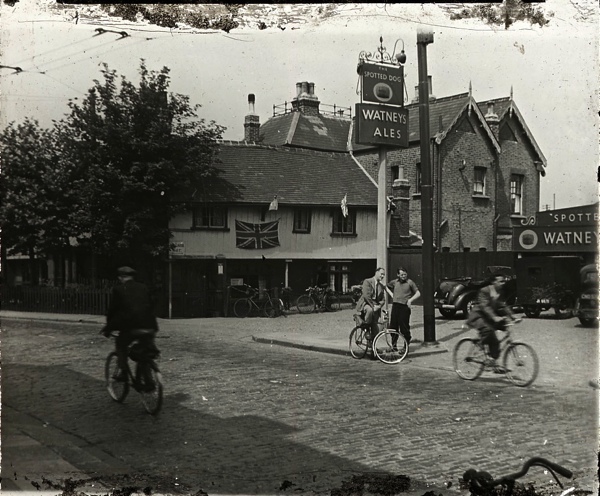 A cycle excursion to The Spotted Dog in West Ham, 1930. 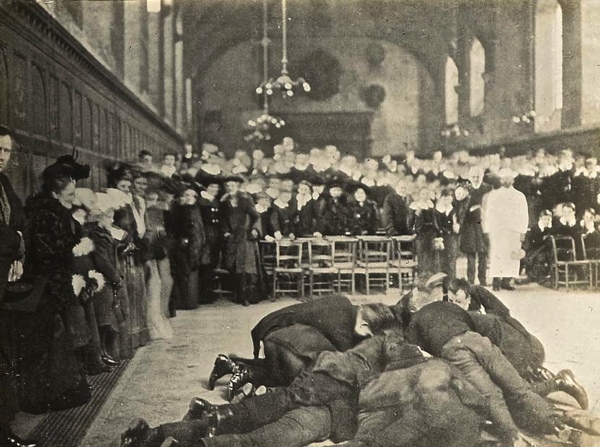 Pancake Greaze at Westminster School on Shrove Tuesday, c.1910. 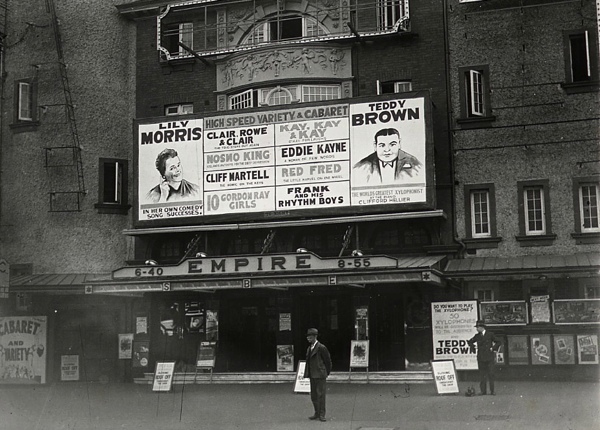 Variety at the Shepherds Bush Empire, c.1920. 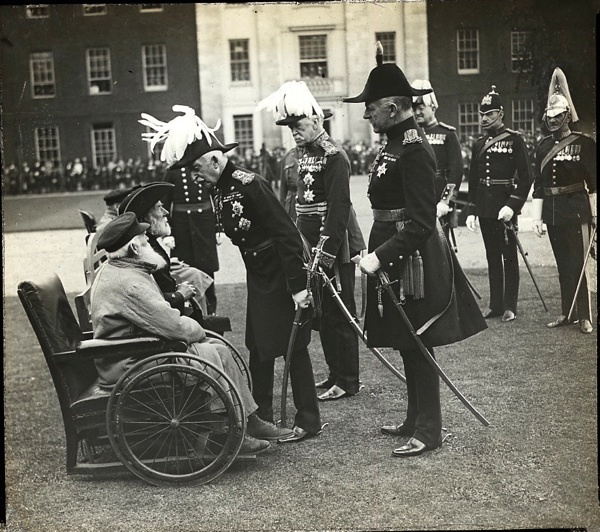 Dignitaries visit the Chelsea Royal Hospital, c.1920. 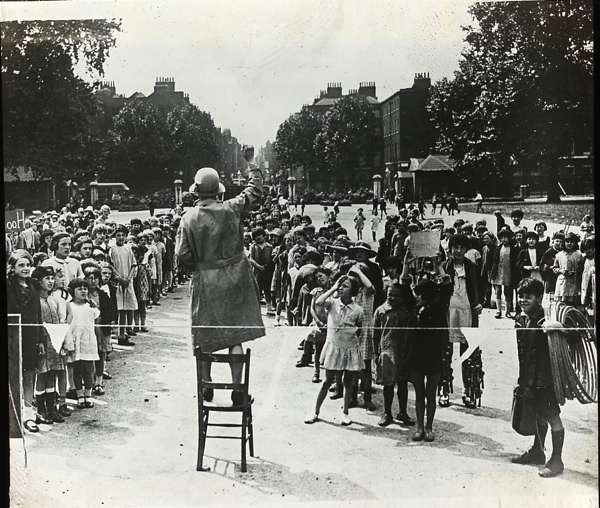 Games at the Foundling Hospital, Bloomsbury, c.1920. 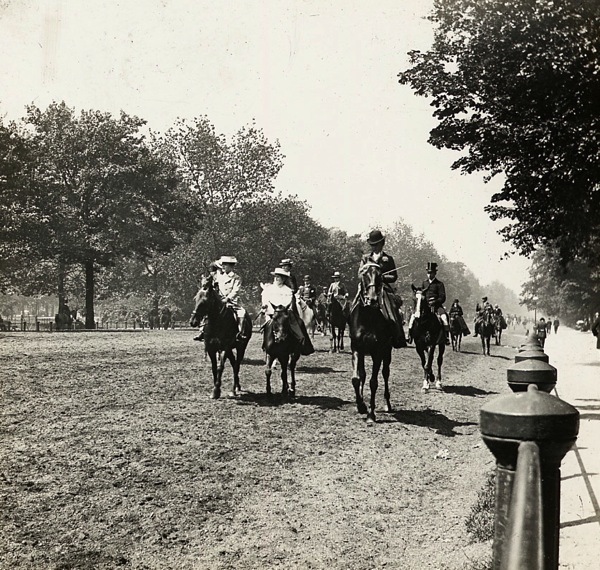 Riders in Rotten Row, Hyde Park, c.1910. Physiotherapy at a Sanatorium, 1916. 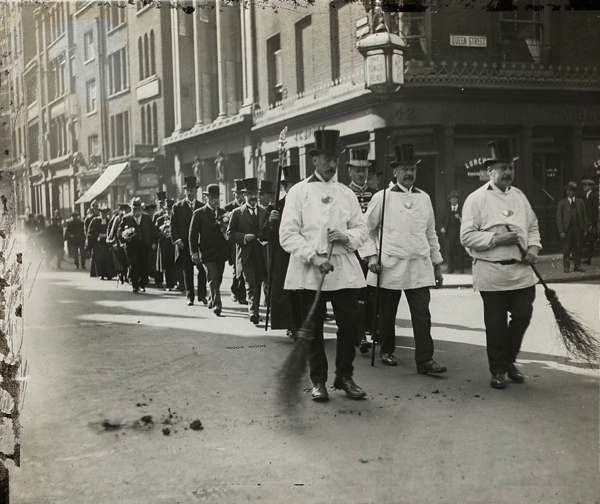 Vintners’ Company, Master’s Installation procession, City of London, c.1920. 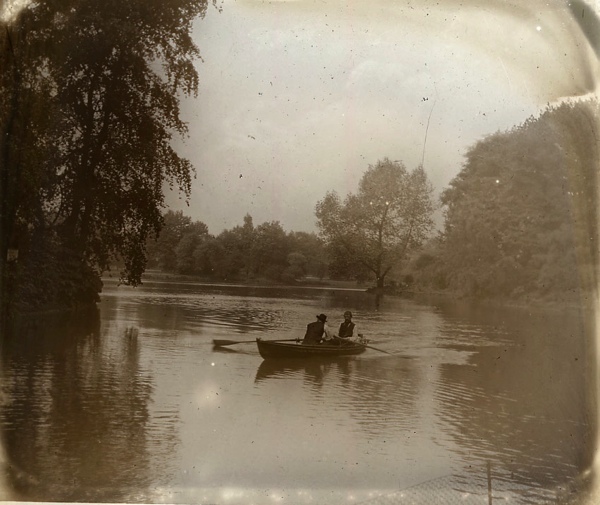 Boating on the lake in Battersea Park, c.1920. 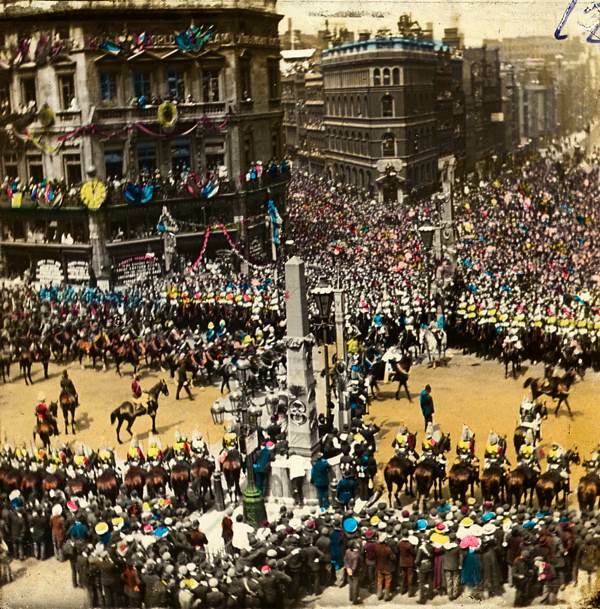 Queen Victoria’s Diamond Jubilee procession, 1897. 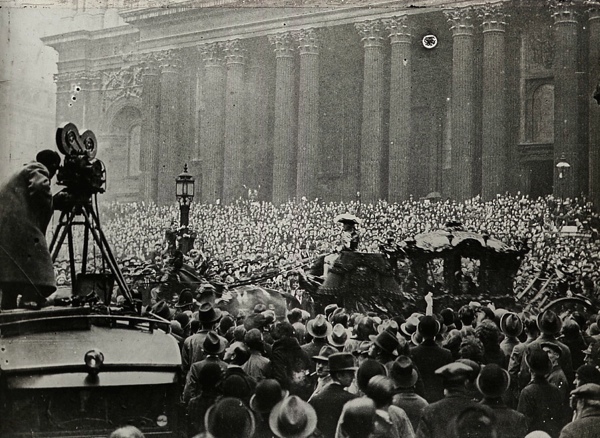 Lord Mayor’s Procession passing St Paul’s, 1933. 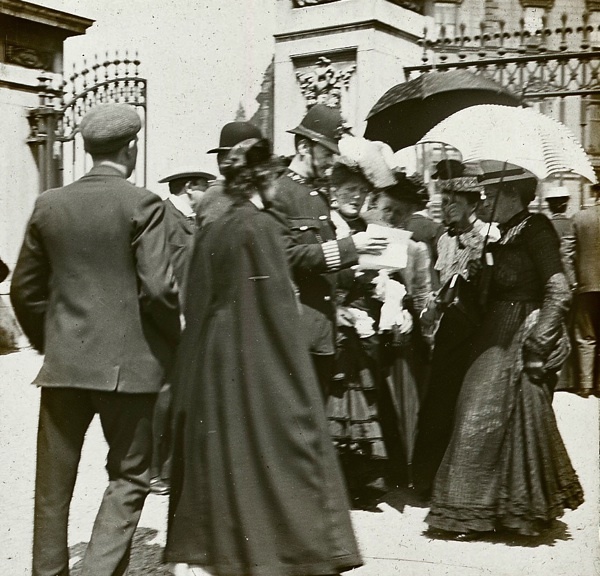 Policemen gives directions to ladies at the coronation of Edward VII, 1902. 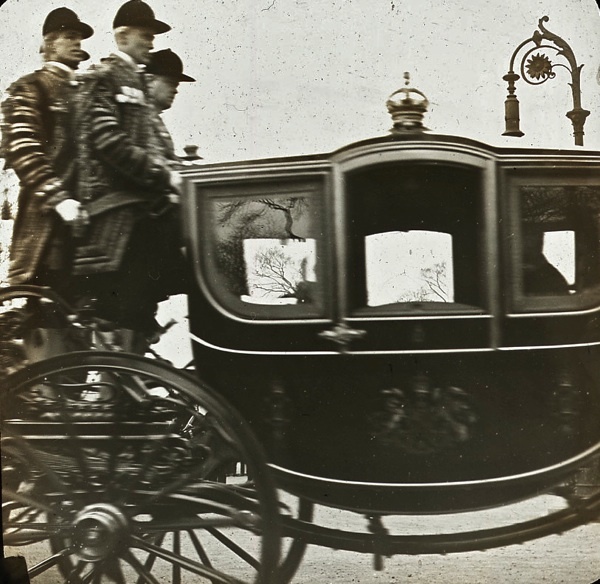 After the procession for the coronation of George V, c.1911. 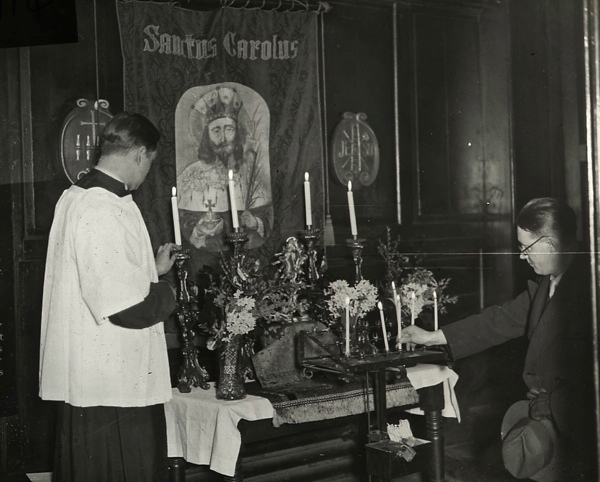 Observance of the feast of Charles I at Church of St. Andrew-by-the-Wardrobe, 1932. 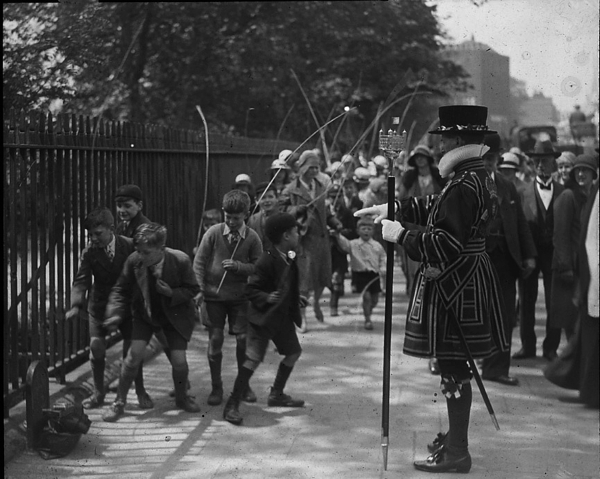 Chief Yeoman Warder oversees the Beating of the Bounds at the Tower of London, 1920. 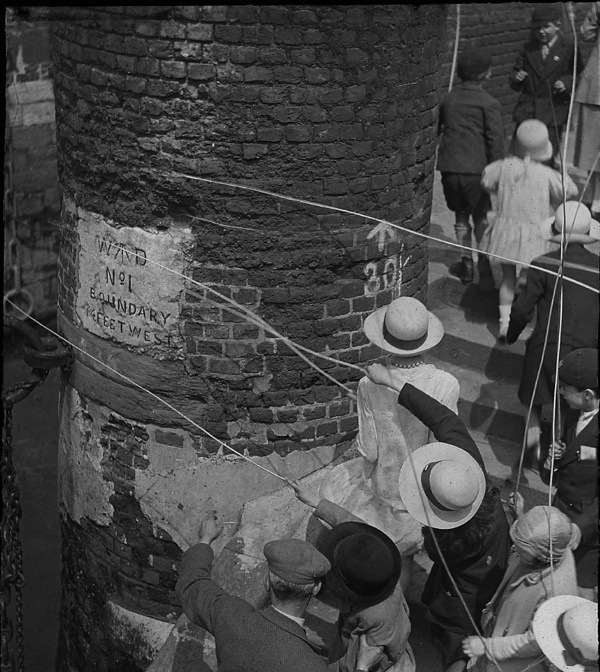 Schoolchildren Beating the Bounds at the Tower of London, 1920. 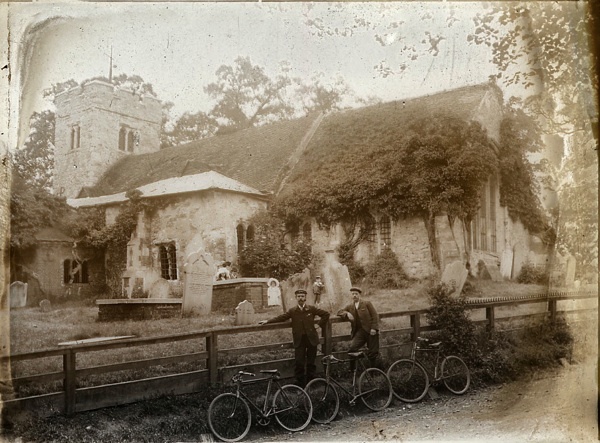 A cycle excursion to Chingford Old Church, c.1910. 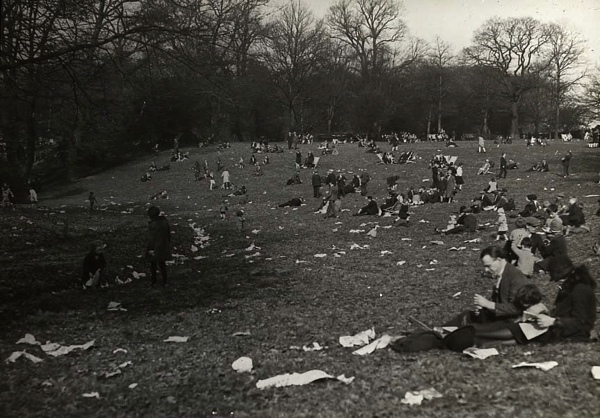 Litterbugs at Hampstead Heath, c.1930. 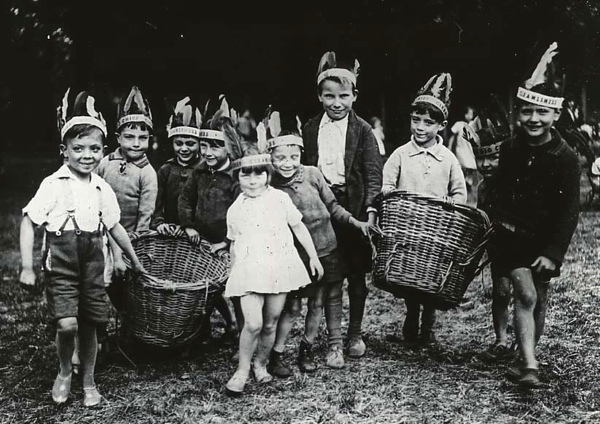 The Foundling Hospital Anti-Litter Band, c.1930. 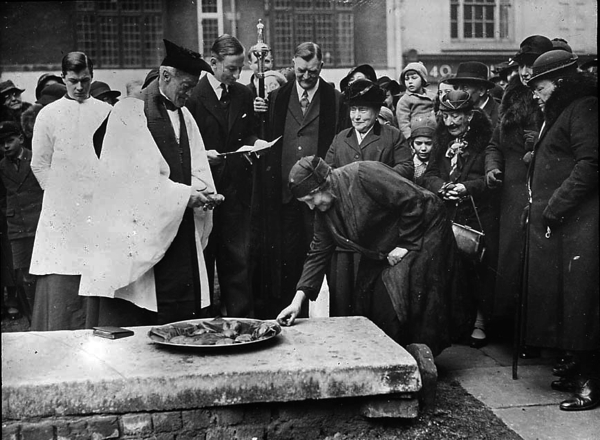 Distribution of sixpences to widows at St Bartholomew the Great on Good Friday, c.1920. 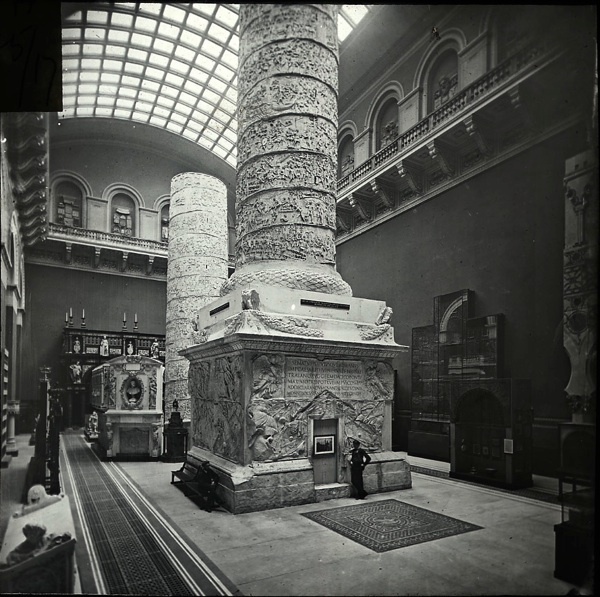 Visiting the Cast Court to see Trajan’s Column at the Victoria & Albert Museum, c.1920. 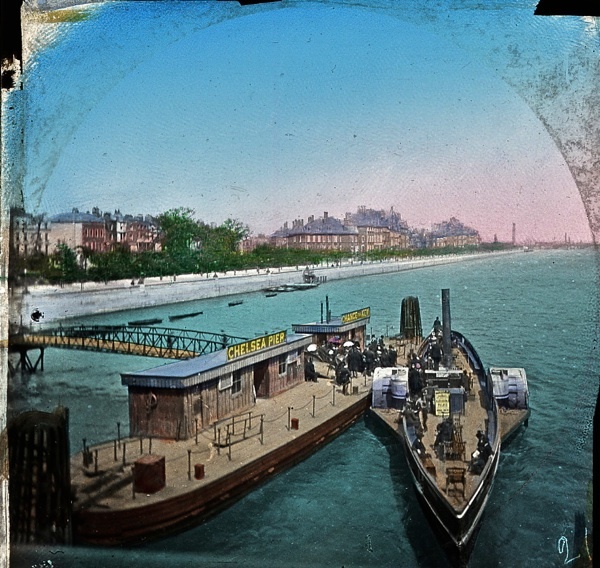 A trip from Chelsea Pier, c.1910. 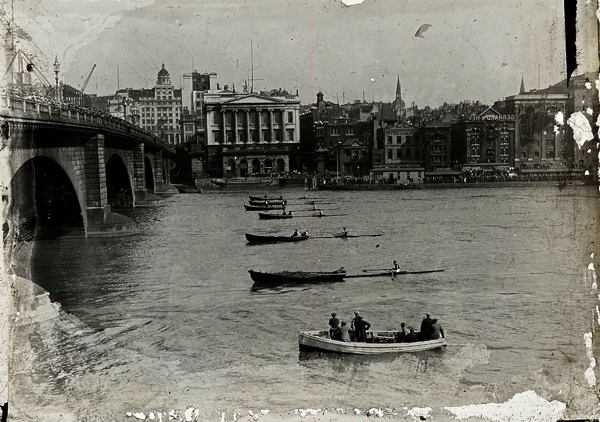 Doggett’s Coat & Badge Race, c.1920. 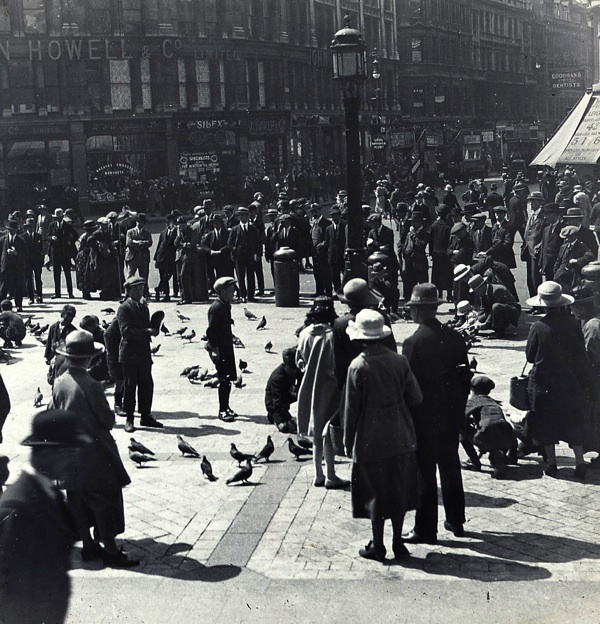 Feeding pigeons outside St Paul’s, c.1910. 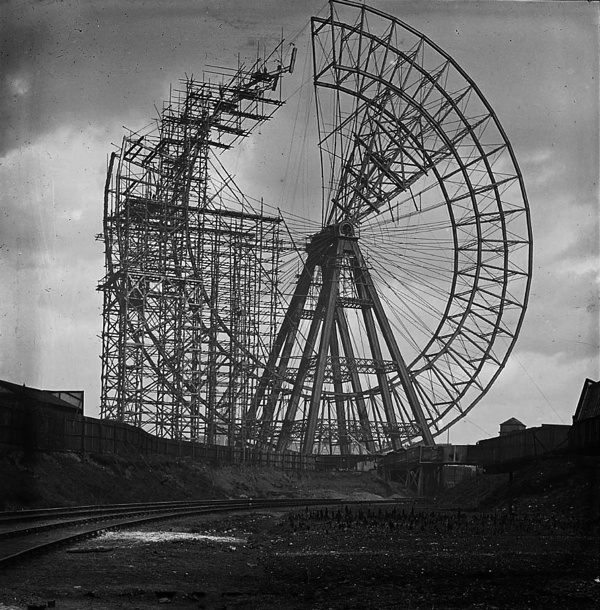 Building the Great Wheel, Earls Court, c.1910. More great photos! I love these. 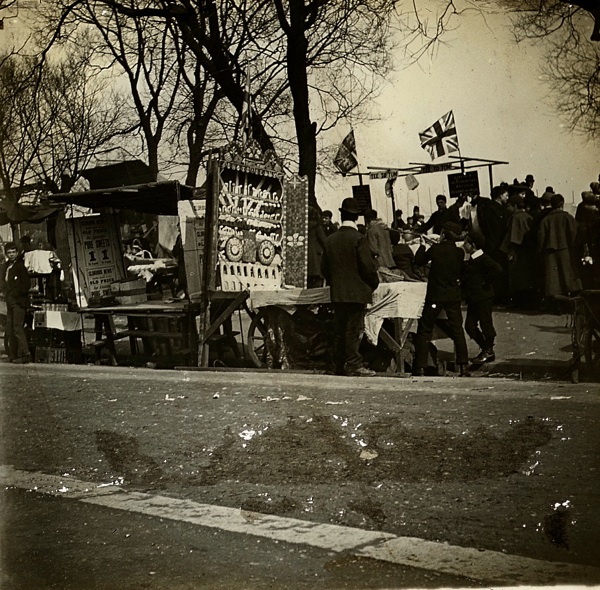 The photo of the Wall’s vendor, though, was taken more like 1925-1929 than 1910, judging by the lady’s dress. Wonderful!!! I love getting my daily update BUT this is wonderful. Thank you Gentle Author. Lovely picture of the Spotted Dog. It’s still here but only just hanging on – empty and on the English Heritage Buildings At Risk register. Such a shame as we don’t have that many historic buildings in this part of Newham. These are fascinating – thank you so much for such an interesting article. Hi. 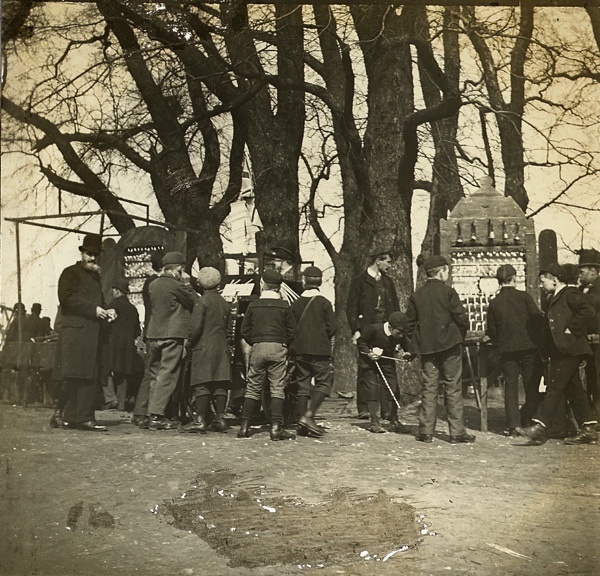 I think that the Physiotherapy Exercise in 1916 is a photograph from St Dunstan’s, encouraging those who have lost their sight to exercise. I’m sure I’ve seen this picture before – you can see that all those exercising are wearing dark glasses. 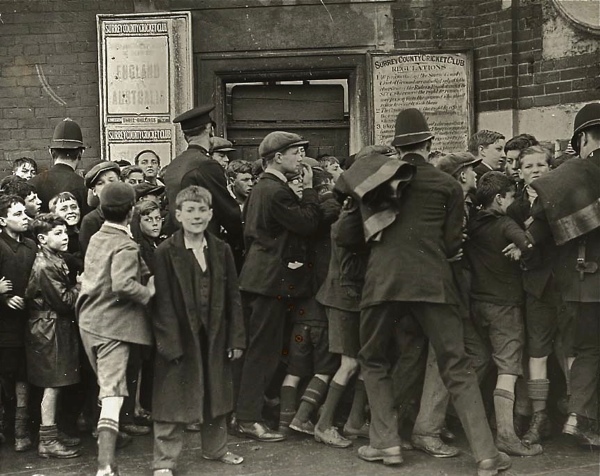 I find these photographs from the Bishopsgate Institute absolutely fascinating. Thank you for your amazing posts. Yes, this is Hertford Villa, built by 3rd Marquess of Hertford and designed by Decimus Burton in 1825-27 in Regent’s Park. 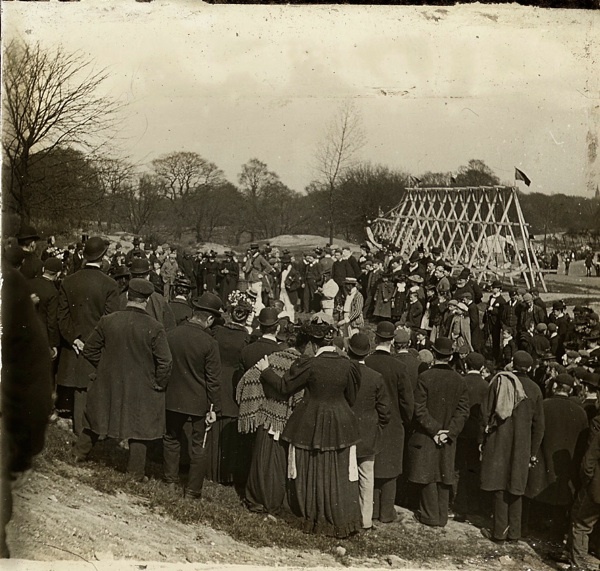 The tent-roof ballroom is on the left of the photograph. The villa stood on the site of the present Winfield House, the US Ambassador’s residence. Lord Hertford acquired the clock made for St Dunstan’s in the West when the medieval church in Fleet Street was demolished and installed it at his villa in 1831. Thereafter the villa was known as St Dunstan’s. The leading financier and philanthropist Otto Khan owned the house in the First World War and he lent the house as a hostel for servicemen who lost their sight in the conflict – hence the subsequent name for that organization. 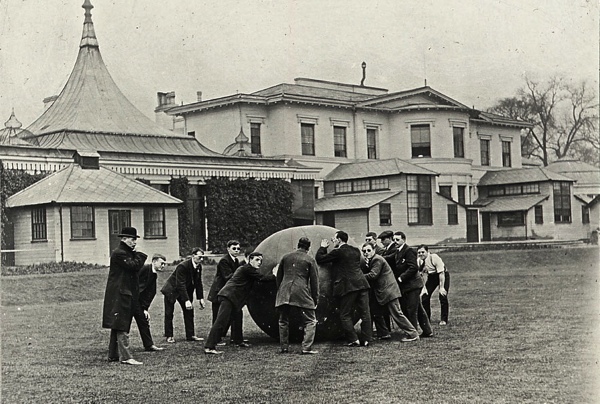 The first 16 men moved in in 1915 and by 1918 600 men had been trained in a variety of trades. Lord Rothermere bought the property and in 1935 he returned the clock to St Dunstan’s (rebuilt 1830-33) in Fleet Street. The Woolworth heiress Barbara Hutton bought the property and had the villa torn down in 1936 and the present house built on the site by Guthrie. Wow! I’ve been going through all these Old London pictures for the whole night and still can’t stop. They captured my interest to the extent that it’s 5 am and I’m still looking! It doesn’t feel like im looking at photos, it feels like im actually over there walking, passing all those shops and buildings! Fascinating experience! Thank you to the author. What you do in preparing all of these wonderful stories and pictures are such a gift to those of us who are interested. I feel overwhelmed in such a great way. You carry me with you. I can smell the horses and feel as if I have traveled in time.